The Norwegian Elkhound actually belongs to the Spitz family of dogs and is not the hound family. 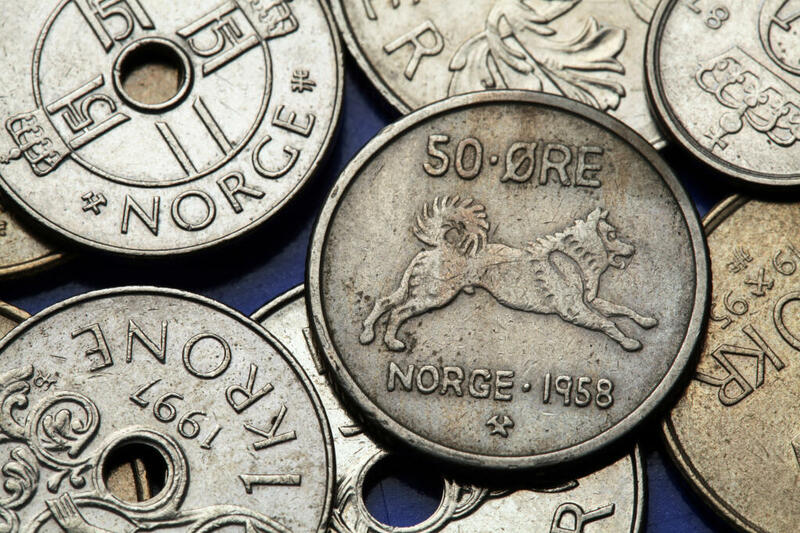 It was used to hunt moose not elk, this error in the name was probably due to the german translation of moose 'Elch'. The breed was used to track the moose and keep it at bay until the hunters could kill it. They have also been used to defend, guard and herd over the years. 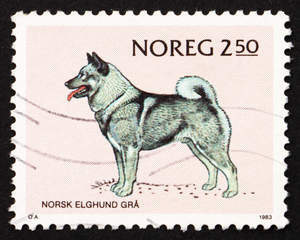 Elkhounds have been around since the times of the Vikings in Scandinavia. 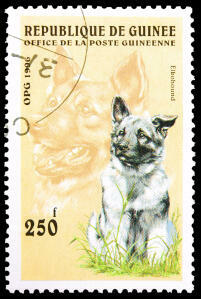 Elkhounds are a playful, high energy breeds, who love nothing more than being outside. They have immense stamina and make excellent running partners. They are good with children if raised with them form a young age and usually fine around other pets. They make devoted and loyal pets, who will raise the alarm when someone is at the door. They are friendly and like people so usually ok with strangers if properly socialised from an early age. They like to be close to their family and will want to take part in any adventure. 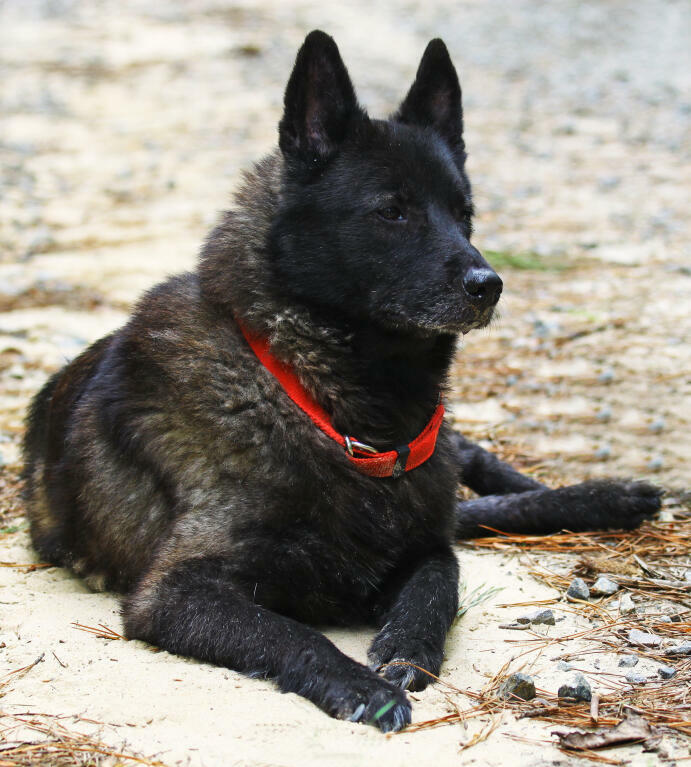 They love to be out and about with you and are well suited to an active family, who like long walks. These dogs need to run and explore, they are independent thinkers and need the chance to burn off energy. They are alert and boisterous and need long walks to keep them mentally stimulated. Being scent dogs, they need to be walked on a lead or a secure area. They can sometimes wander off following a scent and not return for hours. Once they have had a decent walk, they are docile and content within the home; if not exercised enough, they can become destructive when bored. When training an Elkhound, they learn quite quickly, but have a stubborn streak and will sometimes question the point of it all. Keeping training sessions short and food related will help keep them interested. They need to learn who is boss and training will need to be firm, yet kind, to prevent problems down the line. They will sometimes try and push you, but consistency is the key to a well behaved dog. They can sometimes be possessive of food and belongings such as toys, so taking the food/toys away briefly from an early age should solve this. They are naturally protective of those around them and see themselves as equal to the family. Activities such as agility work well in forming a close bond and help with energy levels to keep the breed happy. With their long, dense coat ideal for winter conditions, it isn't surprising that they prefer cooler weather. The coat will need brushing a couple of times a week and much more often when they moult. When they moult, they produce masses of loose fur. 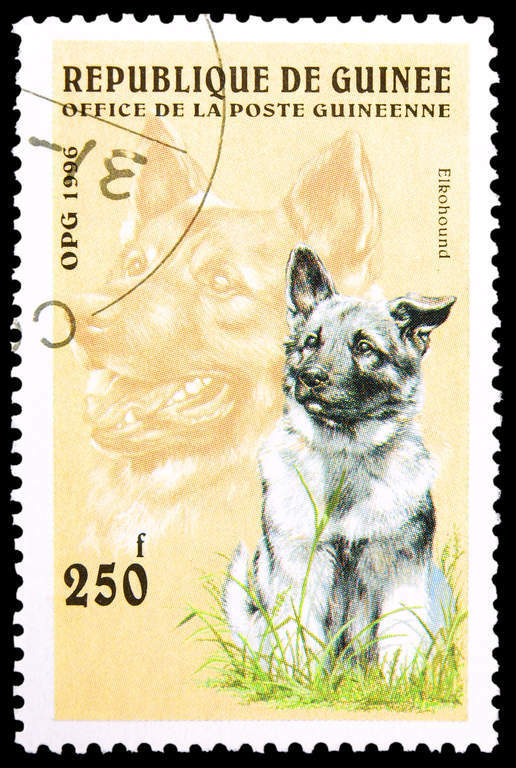 The only major health concern with Elkhounds is Canine Hip Dysplasia. Kidney disease is sometimes also seen. Norwegian Elkhounds have a bold and boistrous temperament. Always ready for a game the Norwegian Elkhound has heaps of energy and an air of self confidence around them. Most are very friendly towards strangers and training may be needed in order to prevent a jumpy/licky assault of any house guest. The breed can be ok with cats if they are exposed from early puppyhood but they do have a high prey drive.